It's October! So when I run alongside my youngest son to school, it's almost dark. My son is on his bike with a headlight ánd a taillight. And I make him wear one of those bright yellow, reflective vests. So my son is well lit up. But what about me? Unfortunately us runners don't come equipped with a head- and taillight. We have to get creative. As a runner there are two ways to make yourself visible in the dark. 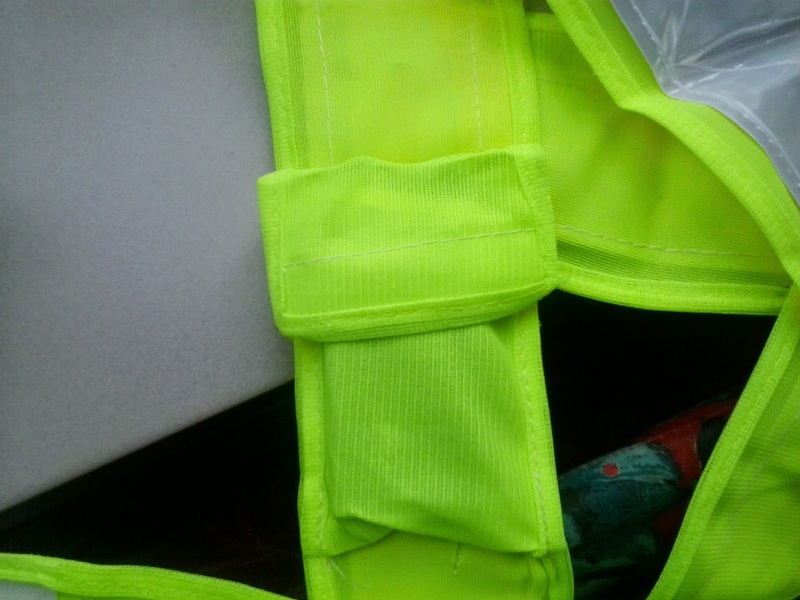 Passive visibility means wearing a bright yellow vest with reflective elements. That way when a car shines its lights on you, you light up like a christmas tree. But active visiblity is even better. Because then you don't need a car to shine on you to light up. All you need to do is wear a vest with led lighting. I think the most wellknown brand providing these kind of vests is UGLOW. Unfortunately they're very expensive. They cost a whopping 99,90 bucks! So you can't blame me for trying to find a cheaper alternative. And I did. On eBay.co.uk I found a LED Reflective Vest for only 19,56 USD. But did it work? Read on to find out! Well, there's good news. And there's bad news. Let's start with the good stuff. The LED Reflective Vest works. It makes you very visible. 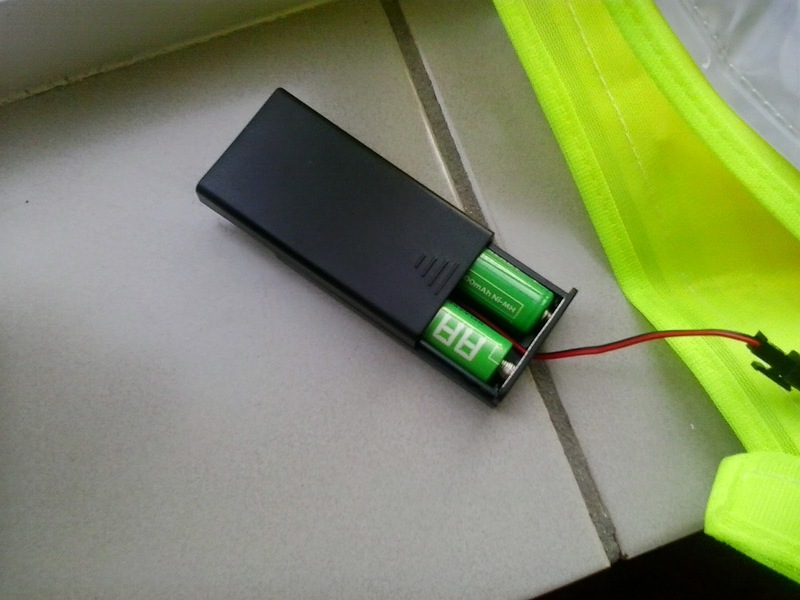 Thanks to the two batteries you put in. (They're not included by the way). This is me! In our front garden on a Saturday morning. The LED Reflective Vest is quite heavy. I even weighed it. It's about 250 mg. It's a one size fits all, but it's best suited for heavily built men. You can adjust it a little bit with the velcro straps, but not enough. It kept wanting to slide off my shoulders. Even though it's a bit heavy and very big, I'm still going to wear the LED Reflective Vest. I'm going to use a clothes peg or something to make it fit me better. Because It does make me very visible. And I think being visible as a runner is very important. But the UGLOW version is probably more comfortable to wear. I've seen these and have been wanting to try one! A great review. I don't think I could run with the heaviness and bigness of it on me. How about one of those lighted necklaces and some lit bracelets? Stopping by from SITS!